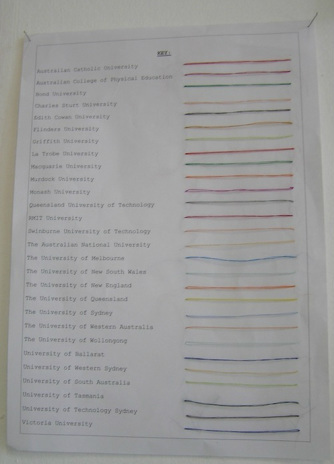 ‘Australian University Games,' hand sewing, result times, 2010. ‘Australian University Games’ explored other methods other than numbers to represent duration. It presented the results for all the athletics running events from the 2010 Australian University Games from the 100m to the 10km. The physical motion of running was translated through the physical action of hand sewing. The movement of the sewn draws a line and takes the same time it took athletes to run a certain distance. Viewers’ are given the sensation of repetitive movement from the rhythm of sewing. ‘Pacing Chart’ is a typical pacing chart used in athletics to predict race results. 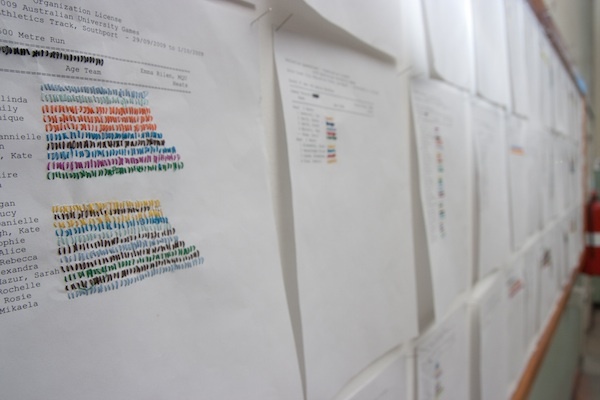 Instead of using numbers to predict a race result, hand sewing was used. After my first half marathon I hand sewed this result time onto the pacing chart. By modifying the arm action of running into the arm action of hand sewing I attempted to perform the act of running, materializing the doing and the done. 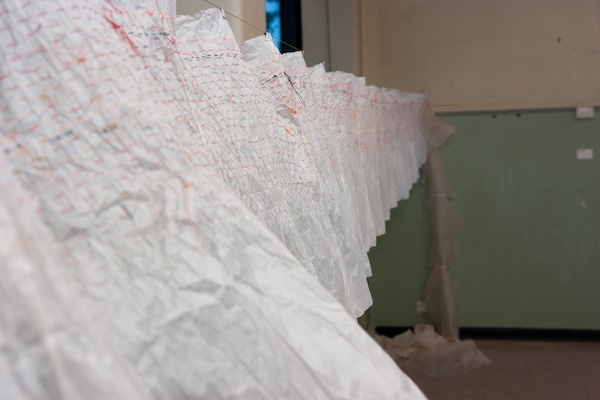 'Pacing Chart,' hand sewing, 2010.